Many town halls are hosting their own celebrations including Deia, Llucmajor, and Campos. BOTH on the main street, Passeig des Born, and in front of the town hall at Placa de Cort, celebrations to ring in the new year will thousands together. Dancers and light shows will entertain the more traditional party at the town hall, with deep bells chiming at midnight. 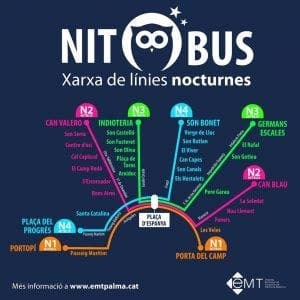 Passeig des Born will rock the night away with live music from 11pm under the holiday lights. 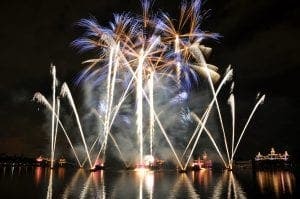 The spectacular bay of Palma will be lit up with fireworks that can be seen across the south coast. Bring the traditional dozen grapes and a bottle of bubbles to join in the New Year celebrations in the Capital. 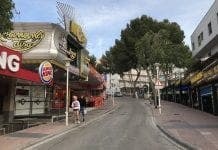 Magaluf’s annual San Silvestre race is set to take place at 5pm on New Years Eve. The entertaining 7km fun run starts in Magaluf, continues along the coast to Palmanova and back again. The festive costume run has prizes for best fancy dress and hot cocoa and ensaimadas at the finish line. A free night bus has been set up by EMT running all weekend allowing all to safely celebrate into the night- with normal costs resuming in the new year.